Yesterday I had to take Campbell to the doctor because his reflux has been acting up again. He isn't spitting up but I can hear him regurgitating and I feel so sorry for him. We have him back on some medicine now so hopefully it'll help him. I thought maybe teething was the reason for the reflux coming back but the doctor said it was actually because of the stomach flu that he (we) had a couple of weeks back. He said any kind of stomach sickness will stir it back up for a couple of month. Ugh! Such a bummer. Of course we weighed Campbell while we were there and my little peanut has made it all the way up to the 7th percentile. Woo Hoo! 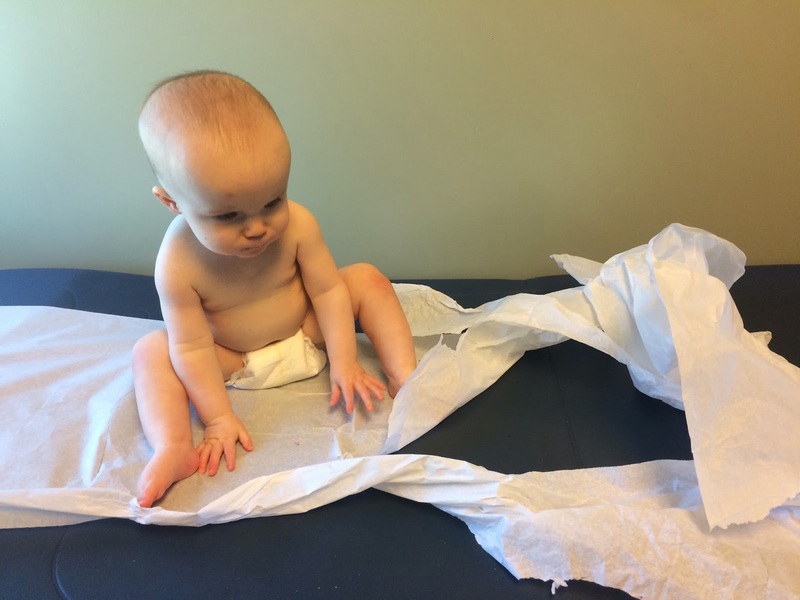 Campbell felt the need to completely shred the paper on the exam table. I'm sure he's not the first baby to do that so I just let him have at it. 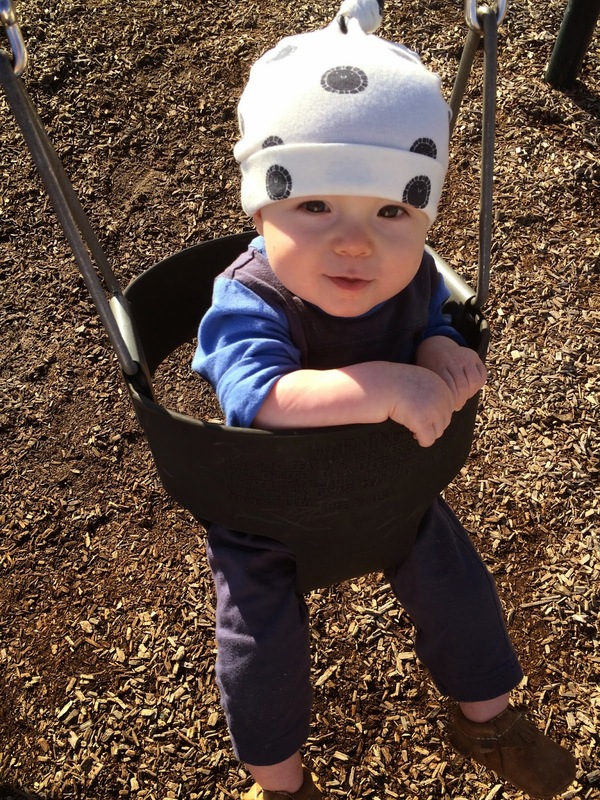 Since the weather was so amazing yesterday I took Campbell to the park to swing. He LOVED it. He's always loved it but I think his love for the swing is growing deeper and deeper. He squealed and giggled the entire time and everyone else who was at the park got so tickled by him. I know what I'm getting him for his birthday now! Tomorrow my friend Jake and I are hosting a link up. They're always fun so if you have a blog you should totally participate. Click on Jake's blog HERE for all of the info. See you guys back here tomorrow! Yay!! I can't wait to read it. Happy Birthday!! !